At a one-day forum at the University of California San Diego (UCSD), Chancellor Pradeep Khosla did two unusual things: he spent most of the day at the Contextual Robotics Technologies International Forum, and he announced that UCSD will create five new faculty slots in robotics and plans to develop a world class robotics cluster in the San Diego area. “This will be big not only for us, but for industry in San Diego,” Khosla said. Chancellor Khosla described how the UCSD plans to invest in making itself a hub for cognitive, embedded technologies and communication sciences involved in robotics by working together with venture capitalists, local tech businesses (particularly Qualcomm, whose microchips are widely used in smartphones and other wireless devices), local military research labs, startup companies and the research labs and programs already existent at UCSD and in the area. San Diego already has major industry and defense players and employers with many robotics technologies and applications. There are also significant manufacturing sectors in San Diego and nearby Tijuana. And UCSD is a major plus as well. It already has a Flow Control and Coordinated Robotics Lab, a Computer Vision and Robotics Research Lab, an Intelligent Systems, Robotics and Control Lab, and the Artificial Intelligence Group, to name just a few plus it is located in beautiful La Jolla north of San Diego. 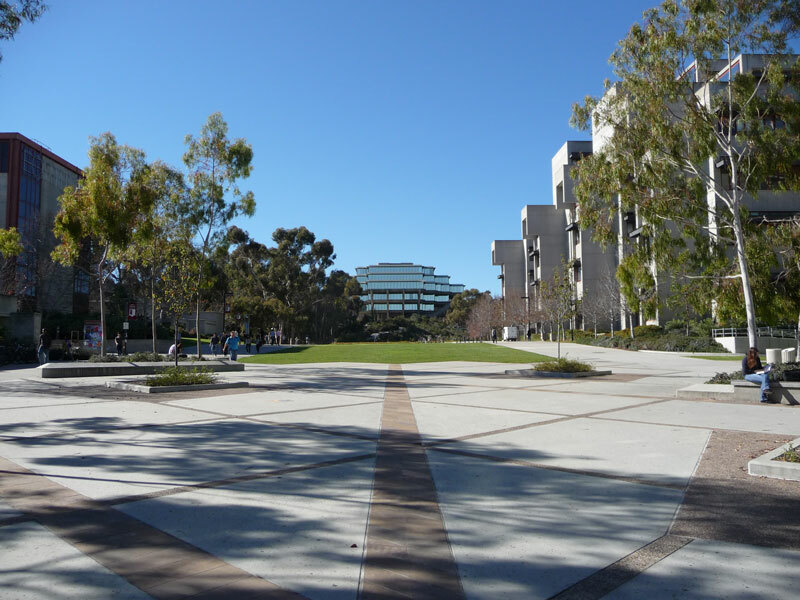 UCSD is also nearby the Scripps and Salk Institutes. Speakers alluded to the “peace dividend of the smartphone wars” as being the various sensors that now cost pennies and weigh less and how they are being put to use in robotics. Just a few years ago they weighed too much and cost more. Still, battery technology hasn’t kept pace with sensors and displays. Two speakers, Vijay Kumar from the University of Pennsylvania and Chris Anderson, of 3D Robotics, talked about aerial robots and agriculture. Both were concerned with creating drones that were more accurate, used less power, and were safe, and both showed the benefits of this type of drone and big data software processing for agriculture. Their systems can provide aerial data, sensor data (infrared, spectral, etc. ), and data over time comparisons – all valuable in the precision agricultural process. Dean Kamen gave a poignent talk about the benefits that are derived from working with medical device providers all over the world. Even though he’s been labled “the Segway guy,” DEKA R&D employs over 500 engineers working on prosthetic, bionic and other medical devices – including a new stair-climbing wheel chair call the iBot, which recently received FDA approval and will soon be marketed by Johnson & Johnson – for DARPA and many of the major medical device companies. He also told of a serious problem in getting FDA approvals for many of those devices. “This country is going to continue to slide compared to the rest of the world,” he said. For the last couple of years his company has not been involved in clinical trials going on in the US but is actively involved in trials in the EU, Japan, China and around the world. Kamen attributed his observation to the FDA being too risk-adverse, thereby forcing ideas, money and talent to move away from the US. The networking was continuing as I left to drive home. This event was a good launch pad for UCSD’s goal to develop itself into a world class robotics center. And their announcement of the five new faculty positions is a long-term committment to back their goal with resources. I wish them well.